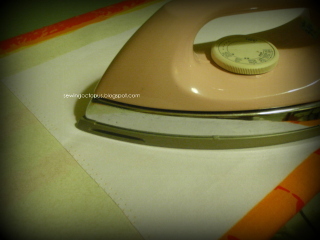 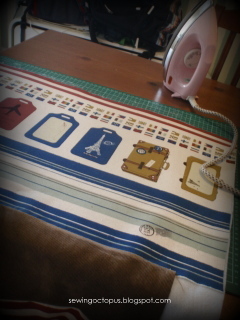 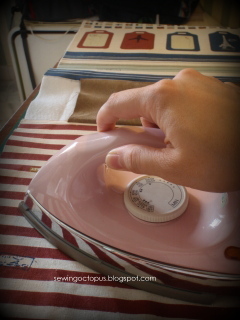 Iron onto lining fabric, to give a stiffen and durability. 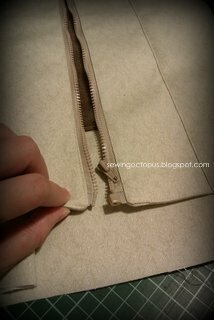 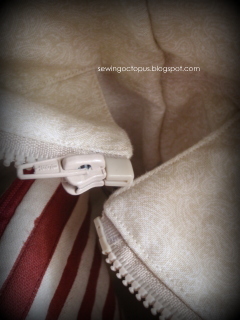 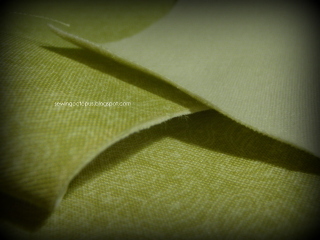 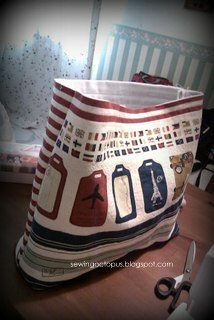 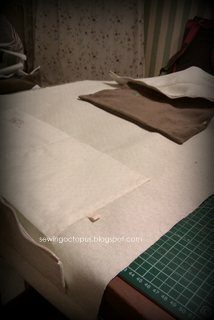 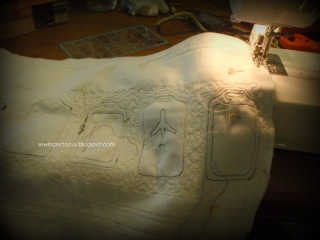 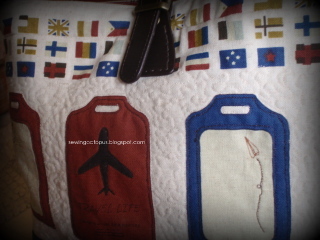 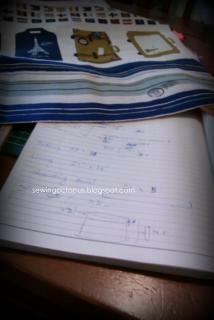 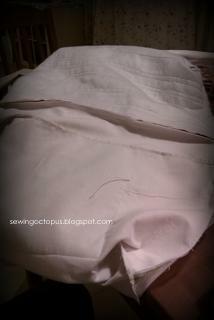 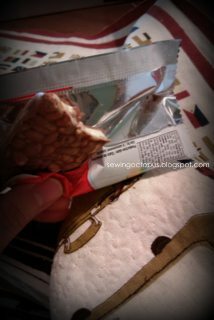 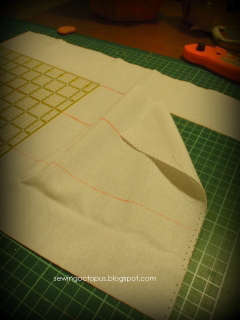 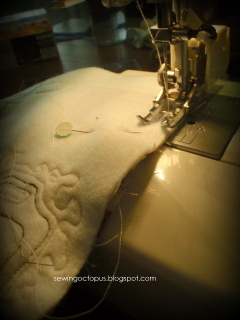 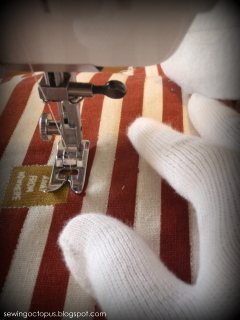 Sew both outer and lining together, turning it inside out. 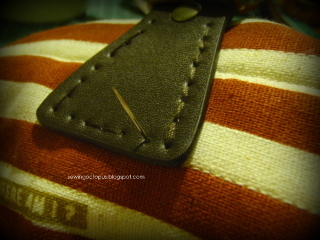 Hand sew this semi leather handle. 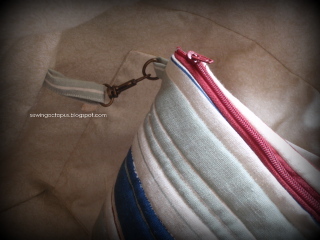 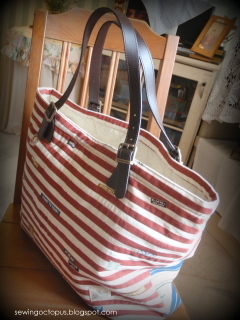 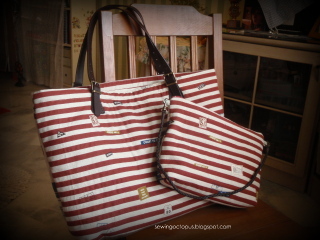 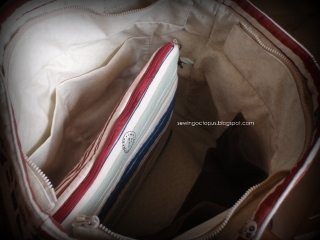 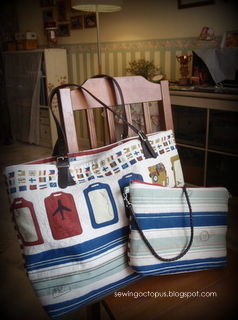 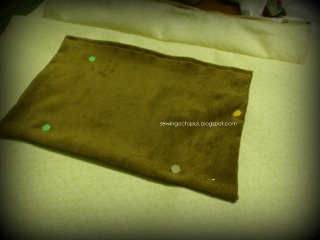 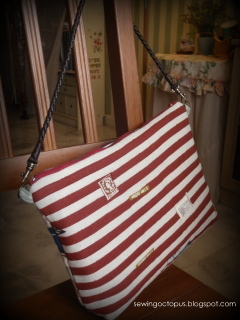 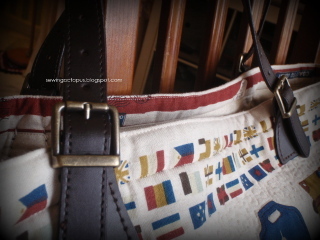 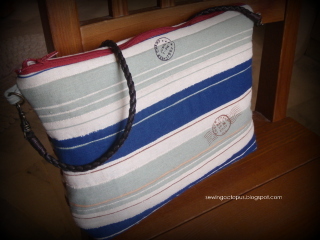 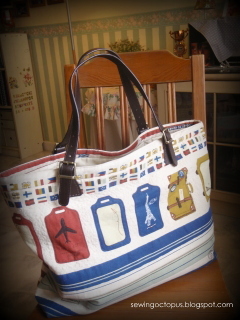 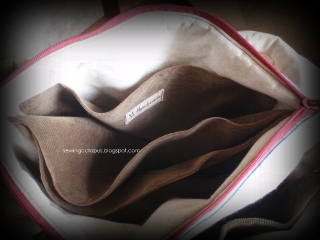 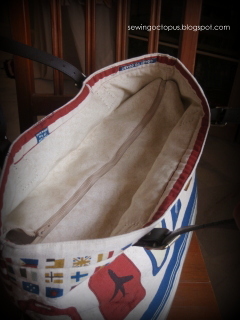 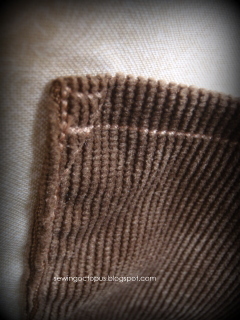 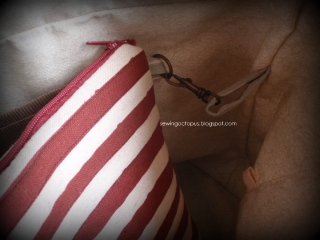 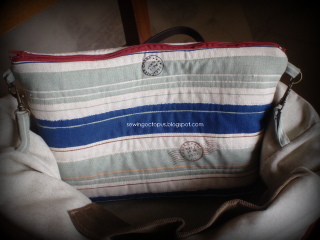 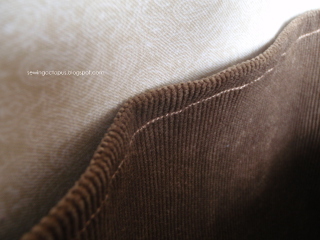 Corduroy fabric is used for pockets and base of the bag.